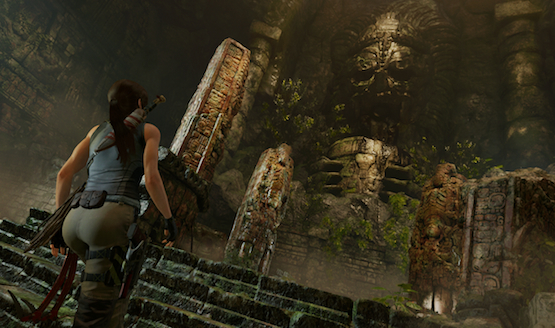 Square Enix and Eidos Montreal have dropped new Shadow of the Tomb Raider DLC called The Grand Caiman, and it’s available to play today. A new challenge tomb has been added called the Zipacna’s Craving, set in a volcano in this Latin American area. An additional outfit The Reptile Hide will help you on this mission with heightened resistance against projectiles, and you will get boosted XP from assault kills. The Whispering Scourge, a suppressed shotgun, will also let you take out these mercenaries from behind quickly and silently. 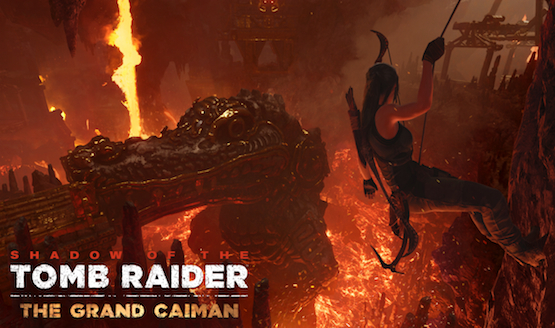 The volcano skill from the DLC will give Lara the ability to craft incendiary shotgun ammo, so she can set her enemies and flammable objects alight. Once you have finished saving San Juan and conquered Zipacna’s Craving, you can also play all the tombs from the main campaign in Score Attack and Time Attack modes. If you’re interested in booting up Shadow of the Tomb Raider and playing all six adventures of the downloadable content, the season pass is currently on sale for $20.99. Its regular price is $29.99. If you are a fan of Tomb Raider, you should enjoy The Grand Caiman and the rest of the DLC as much as you can as the future of the series doesn’t look too bright. In a Q3 financial report released by Square Enix last month, it confirmed that the game shipped 4.12 million units and called the sales a “weak start.” The company hopes sales of the game will grow further. Shadow of the Tomb Raider will be getting one more piece of DLC for its season pass, but a release date has not been given yet. It may come out of the blue yet again, just like the release of The Grand Caiman today.